Running early today to get my mop chopped, I took the opportunity to have a little shop, shop! I walked past a shop in Chapel Street, which at first looked like a vintage clothing store, I decided to go in for a looksee. I stood corrected when I went in, Olga de Polga is not vintage, but I would say it is vintage inspired with an eclectic mix of everything. Patterned, colourful, quirkiness which could have done a lot of damage to my credit card! The store reminded me of my golden books as a child, which I wish I still had. 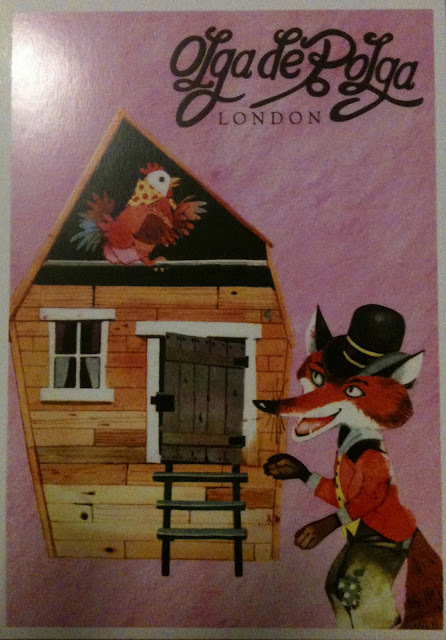 See the cute postcards they have, it explains what I mean!! Taking full advantage of the sales rack I purchased a beautiful printed shirt dress that will be perfect for my safari that I am leaving for on Tuesday. I was a great cut, great print. They also had some amazing jackets and rabbit vests. By the way they don't do pants and cater to a very broad demographic, 20-50. I was intrigued, so I did some research when I got home and this is what I found. The label is designed by an Australian, Olga Stone, who set up shop in Spitafields in London and also as I have already mentioned in Melbourne. The label is also available at TopShop Oxford Street. 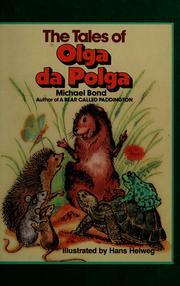 The name that also relates to the designer but Olga Da Polga is a children's book character who was created by Michael Bond, who was also the created of the very famous Paddington Bear. Olga da Polga was a guinea pig who would have something fairly ordinary have happen to her and then would wildly exaggerate the story to her friends. 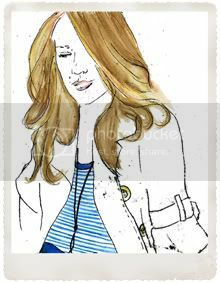 Thanks to StyleNylon and Wikipedia for my info. A gem that is worth a look.